The essays in this volume, by veteran economists as well as younger scholars, are part of a radical attempt to grapple with the problems of advanced capitalist development without discarding the real theoretical breakthroughs made by Keynes. The contributors argue that Keynes was correct in pointing to the economic contradictions stemming from unemployment, income inequality, and speculative finance, but failed to consider the class composition of social output, the macroeconomic effects of the modern firm, and the atrophy of investment under conditions of capitalist maturity. They thus seek to uncover the sources of stagnation under monopoly capitalism by building on the work of three of the great economists of modern times: Marx, Keynes, and Kalecki. 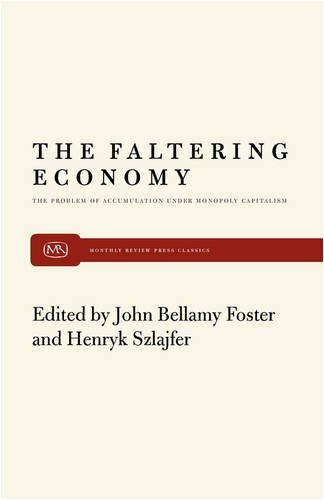 About: The essays in this volume, by veteran economists as well as younger scholars, are part of a radical attempt to grapple with the problems of advanced capitalist development without discarding the real theoretical breakthroughs made by Keynes.